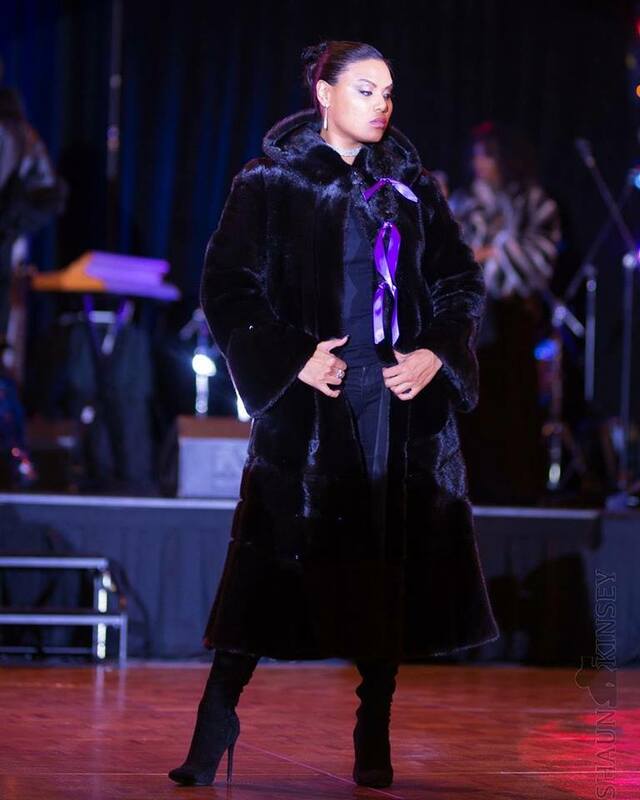 from modeling the luxurious high-fashion furs of The Fur Salon, to tasting the delicious organic Edelheiss Wine brought by founder Mr. Rodney Foster himself, to the exhilarating experience in networking with quality like-minded individuals in one evening; I absolutely enjoyed myself and am humbled to join you again after a great success on the #PurpleRunway. #DomesticViolenceAwareness is such a beautiful vehicle to share compassion, in the midst of high fashion. I live for this, and am looking forward to next time. Thank you all, and thank you Tag TheShooter for these awesome photos!